Given that the hardest part of REX construction (for most people) is the surface-mount soldering, I want to talk at length specifically about this subject. 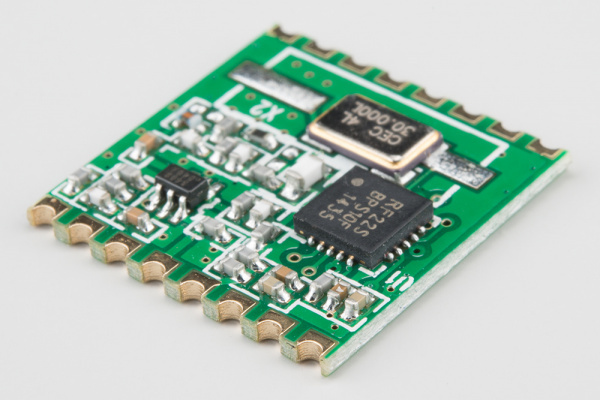 SMD soldering, as it’s known, is often perceived as something incredibly difficult and requiring lots of practice and expensive equipment to master. But that’s simply not true. The traditional way to solder SMD parts is the “reflow” technique. In this technique, first solder paste is applied to the pads on the PC board, then the parts to be soldered are carefully placed on top of these pads. When all parts are pasted and positioned, the entire board is placed in a reflow oven and baked at a very precise temperature for a very specific amount of time. This heat melts the solder paste and it “flows” onto the component, bonding it to the pad. 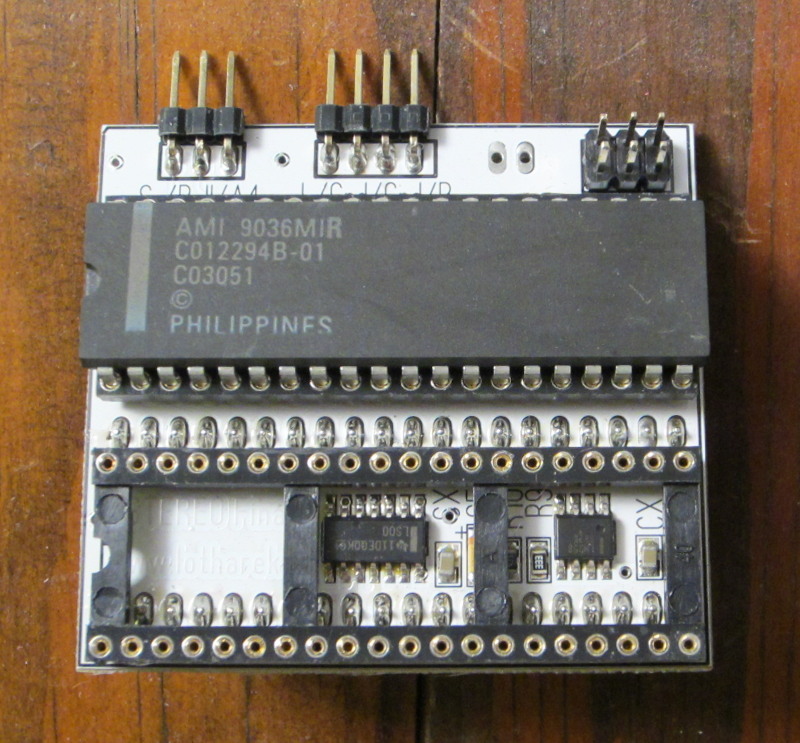 While this is a very effective technique for soldering a large number of boards, or even a single board with a large number of components, it’s total overkill for small boards like the REX and excessively complicates construction. Not to mention that solder paste is finicky and also requires special handling (it must be refrigerated, for instance). The other common way to solder SMD components as to use the “drag” technique – sometimes also referred to as “tack and drag”. With this method, you position the component on the dry pads, apply flux to the pins and pads, and then drag a wet soldering iron (loaded with solder on the tip) down a row of pins. Big Mess O’ Wires has a good video demonstrating this. Basically, through the magic of flux and surface tension, the solder flows from the iron tip onto the pad and pin, and forms a proper joint. The flux ensures that the solder bonds properly to the copper and the surface-tension keeps the solder from bridging neighboring pins. To begin with, it’s super important to have your part aligned correctly before applying solder. Whereas with reflow soldering, minor alignment issues will be corrected naturally (the surface tension of the solder actually pulls the part into alignment), with drag soldering, you MUST get the part aligned correctly before tacking your initial pins or you’ll solder your part crooked and may create solder bridges. If you do drag-solder a part crooked, your only option will be to remove the part entirely, clean the board and pads, and try again. Do that more than about once and you run serious risk of damaging the component and/or the PC board. It’s also very important that the pads are clean. Metal, when exposed to air, oxidizes. 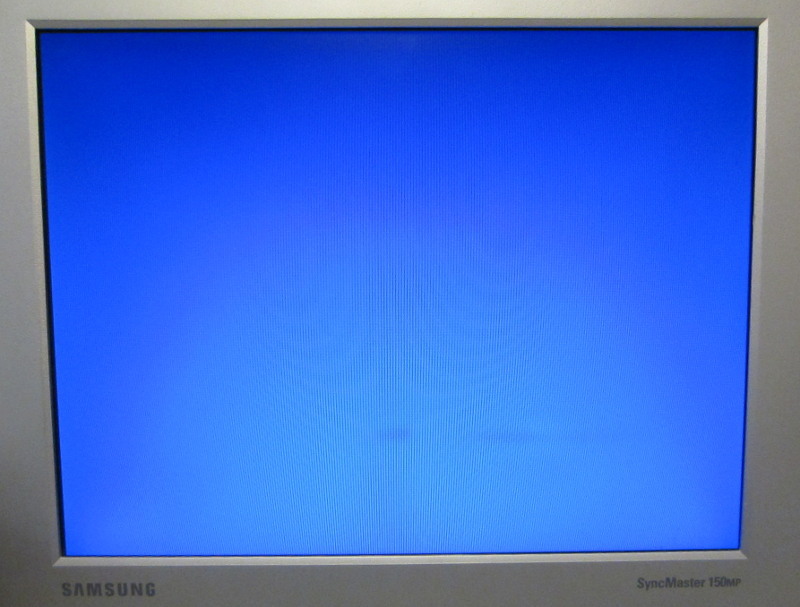 The copper pads on the PC board are always oxidizing – slightly. You might not be able to see the effect, but it’s there and this oxide will interfere with the solder’s ability to bond the pad to the pin. To combat oxide, solder wire (the stuff on your spool of solder) normally contains a core filled with flux, which is a mild acid that activates with heat and dissolves the oxides. As your iron melts the solder wire, this flux flows out into the joint and effectively cleans it for you. However, when drag-soldering, you are not melting the flux directly onto the joint, you’re melting it onto the soldering tip. This uses up the flux prematurely, so it’s important to apply liquid or paste flux to the joint itself so that there is flux available when the joint is soldered. Most soldering irons come with a tip that is either conical or chisel-shaped. I personally have never found use for a conical tip, but they do come with many cheap irons for some reason. The chisel tip is the type I have always used for through-hole use and they’re great for getting plenty of heat onto a joint quickly. But I’ve found there’s a better tip shape for drag-soldering: the bevel. Beveled tips take a cylindrical tip and basically slice it at an angle. This creates a relatively large tip surface that is flush with the PC board when the iron is held at a comfortable angle. This tip can be loaded with molten solder and will make good pin contact when dragged down the board. It’s also a good tip to use when cleaning or de-soldering with wick as it gets lots of heat right where you need it. There is also a “more advanced” version of the bevel tip, which is a concave bevel tip. This tip is specifically designed for use with SMD drag-soldering, as the concave tip creates a reservoir that holds plenty of molten solder and gradually dispenses it as you drag the tip down a row of pins. This is the type of tip I used and I am mostly pleased with it. It does take a bit of practice to get the solder well to actually make contact with the pins, but it works beautifully when used correctly. The final important bit is the solder. Using the drag technique with a bevel tip requires that your iron be loaded just the right amount of solder: apply too much and you get bridges. Using the SMD well tip seems to make this a non-issue, as I melted lots of solder into the well and only created the 2 bridges across 4 parts that I’ve soldered so far. In fact, I found that I had to be careful to make sure I melted enough solder that it actually made contact with the pins. Also in my research I saw many claims that the solder wire diameter was crucial, as well as plenty of advice to use “63/37” solder. This fraction refers to the solder’s composition. Traditional hobbyist “60/40” leaded solder is made of ~60% tin and ~40% lead. This ratio is only approximate and results in inexpensive solder that has a wide range of potential melting points. 63/37 on the other hand, is a more precise mixture and melts at a slightly lower temperature (183C) than 64/40. After using it to construct two REX boards, I have to say that I’m convinced of 63/37’s superiority over 60/40. It flows very well and bonded quickly. Finally, it’s vitally important to use a good quality, temperature-controlled soldering iron. You don’t have to spend lots of money on a Metcal or Pace – go for an entry-level model from one of the quality brands like Weller or Hakko. Sure, their roughly $100 price tag is triple that of a cheap plug-in-the-wall soldering pencil, but the difference is easily worth it. Not only do they regulate temperature properly, they heat up quicker and have easily interchangeable tips. I set my station at ~320C. RetroChallenge 2017/10 – Bringing REX back to life! It’s time, once again, for Retro Challenge. For those unfamiliar w/ RC, it’s a month-long personal challenge to do a project involving retro/vintage computers. It’s run twice a year, currently in April and October (although it used to have a different schedule). Entries are “judged” and there are “prizes”, but there are no winners and no losers — to borrow from the WOPR: The only losing move is not to play. Previous entries on this blog documented by attempt at RC this time last year. Last year, my goal was basically to fix up a couple of my malfunctioning machines, and do some upgrades. I didn’t have much time last year to work on it, so I considered that RC abandoned-in-place, more or less. Eventually I got the machines running and all is right with the world. This year, though, I have more concrete goal: Bring the REX back to life! But, it’s not available from Club 100 anymore. Between the passing of Rick Hansen (RIP), and lack of available time by the members who took over Club 100, the REX has been out of production and out of stock for some time. Every so often, a person would ask about getting a REX on the Club 100 mailing list, but the answer was always that there were none to be had. Then, back in Feb of this year, Stephen Adolph basically made DIY plans for REX available, along with board design, software and flashing instructions. Brian White took that material and ran with it, eventually producing a functioning REX unit. Brian then made a Bill of Materials available through DigiKey and posted very detailed instructions for DIY’ing a REX. This caught my eye, as I’d been wanting a REX for a while. But, the stars were not aligned, and the idea sat in my mailbox. Last week, I successfully built my first REX board. The construction involves very fine-pitch SMD soldering, as well as Xilinx programming and “in-system” programming in the Tandy itself. Another member on the list sent me supplies he had purchased earlier, intending to build one for himself, so I assembled it for him. There are several steps, but the overall process is not actually hard, and the REX worked on my first try! Needless to say, I was starting to get excited. So, my RetroChallenge for 2017/10 will be to get REX out of “unobtanium” status and into the hands of anxious Tandy 100 users. Originally, I wasn’t going to do an RC this year, because I was going to work on the REX instead. For whatever reason, that didn’t seem like a “proper” RetroChallenge – it felt like more of a logistical process than a “retro” challenge. But, after more thought, I realized, it’s actually the perfect RetroChallenge. Doing a project like this will involve a lot of learning on my part, it’s information that will likely benefit the community, and there will be lots to document in this blog. So, I’m in. Hopefully, in 28-ish days, the world may not have a new stock of REX boards yet, but REX will be well on its way back from “extinction”. Author JoshPosted on 2017-10-03 2017-10-03 Categories RetrochallengeLeave a comment on RetroChallenge 2017/10 – Bringing REX back to life! For some reason, October is the month where everything wants to be worked on. It’s been over a week since I’ve gotten some “retro time” so i decided to break out the Atari 400. Say what you will about it, but this picture won me $250 in Sophos’s retro week contest. I’ve had this Atari 400 since I was probably about 8 years old. My dad had the first go at it with a soldering iron, taking it to 48k of RAM and adding that spectacular external 800 keyboard (in a hand-made case, no less). 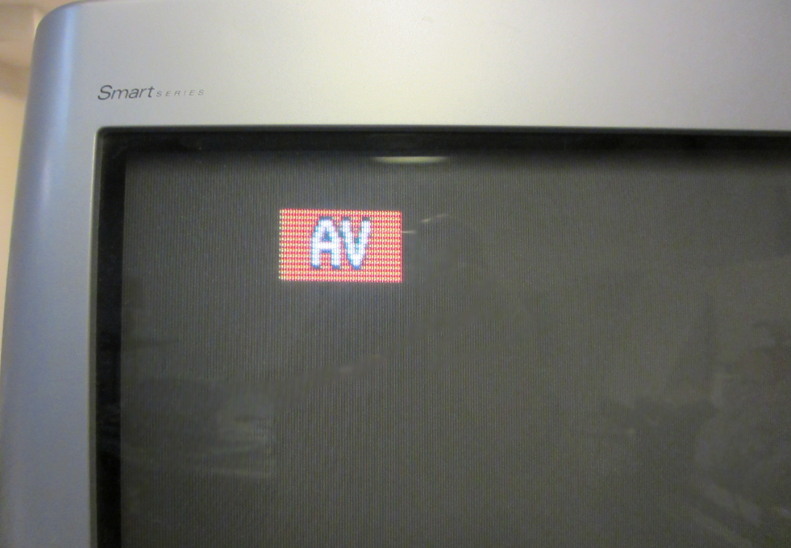 I did a quick-and-dirty composite video mod to this machine about 3 years ago so I could bring it to a retro gaming night, but the output was barely visible on the screen. So, this thing needs some love. 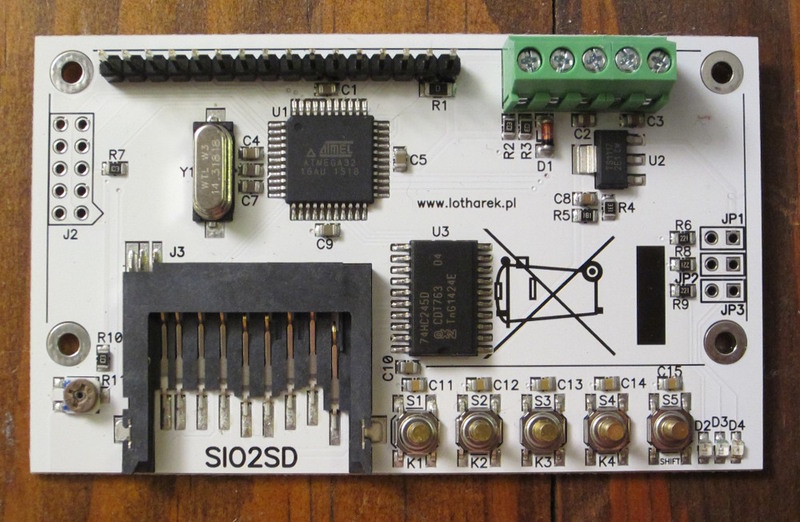 Shortly after “Brexit”, when the dollar gained nicely against the Euro, I purchased an SIO2SD and a stereo pokey mod from Lotharek. I also bought a second pokey chip from him, and he installed it in the stereo board for me automatically. Nice. Am I the only one who calls this a Gumby mod? For the SIO2SD, I went cheap and bought the bare board. I already have a chopped up SIO cable on the homebrew cassette interface that my dad built for the Atari. I can’t remember if we used the tape before getting the 810 disk drive, or if we just wanted to have the tape interface. I remember playing some educational games on tape and saving some BASIC type-ins to tape as well. Anyway, with this guy, I won’t need tapes anymore, so I can scrounge the SIO cable from it. SIO2SD board before attaching the LCD module to the top header. A few minutes of wire stripping (I love screw terminals) and I have an SIO2SD attached to my Atari. Time to play some games I haven’t played in over 25 years. Rats! Seems like the video signal from my composite mod is too crappy for this old LCD monitor to recognize. Time to break out the big guns. Crud. No dice with the Magnavox CRT TV either. Guess either something’s come loose inside or my mod was even worse than I’d realized. In any case, the Atari project will have to go back on hold until I can either redo the mod myself or install a video mod board. 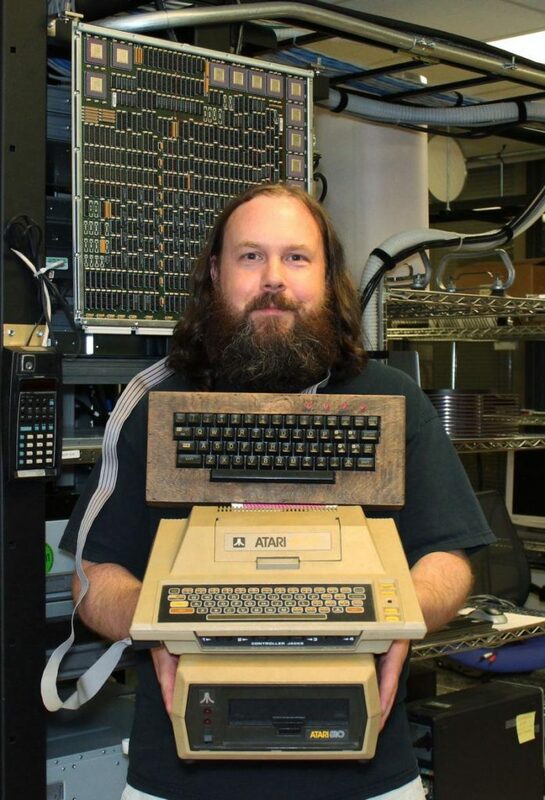 I’m really hoping that Bryan from AtariAge gets his Ultimate Atari Video board back into production. He’s re-working rev. D right now. If I have to wait much longer, I’ll probably just get a 7800 mod board from eBay and stuff it in as a stopgap.